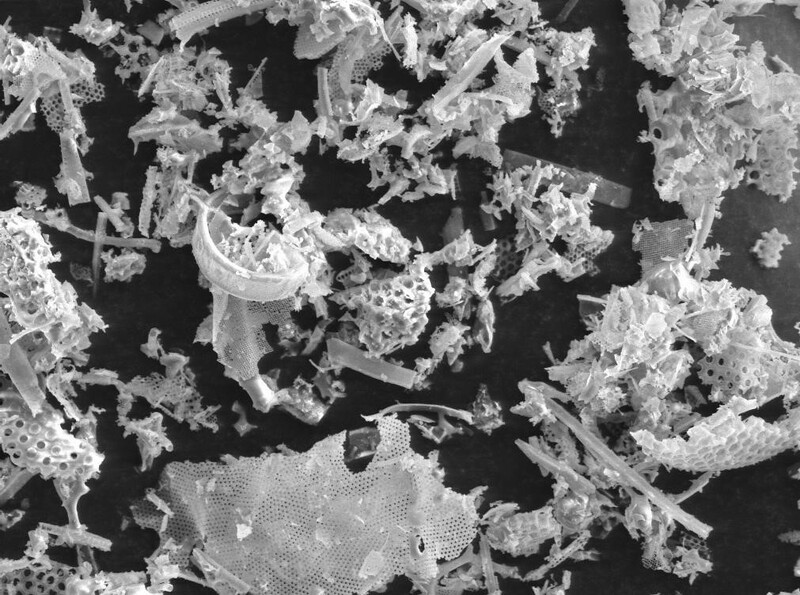 Diatomaceous earth–is a naturally occurring, soft, siliceous sedimentary rock that consists of fossilized remains of diatoms. Diatomaceous earth is a thermal insulator and primarily composed of silica and is sometimes used as a refractory packing material in the glass industry. 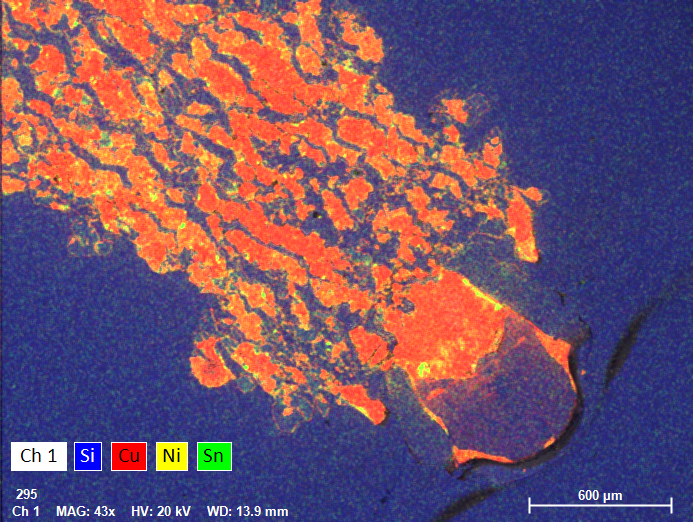 This is an unused sample that was analyzed to compare physical and compositional properties to a stone analysis. 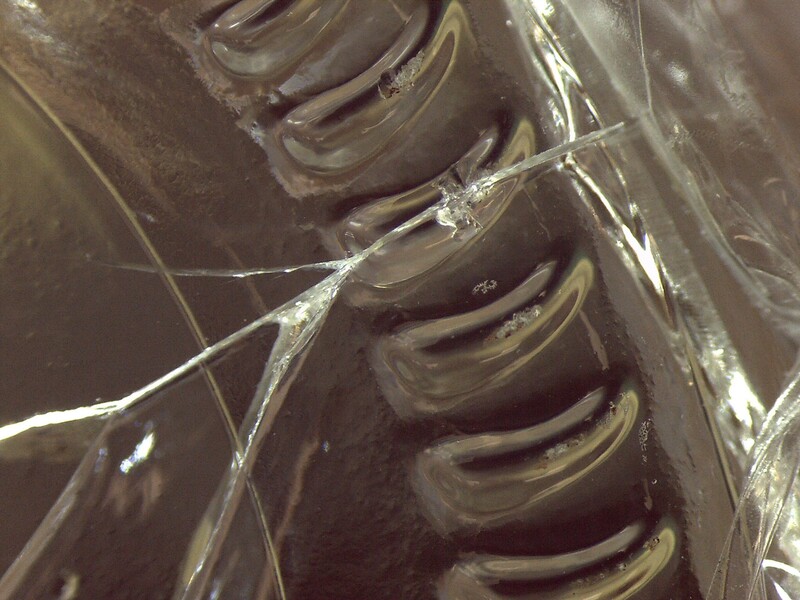 This photograph shows a fracture origin at point contact damage on the knurling of a bottle. As the name suggests, point contact damage is caused by forceful contact with a hard, pointed object. The culprit is often a shard of broken glass or protruding metal on a conveyer or transfer area. This particular bottle failed during internal pressure testing, causing the bottle to fracture across the bottom surface. 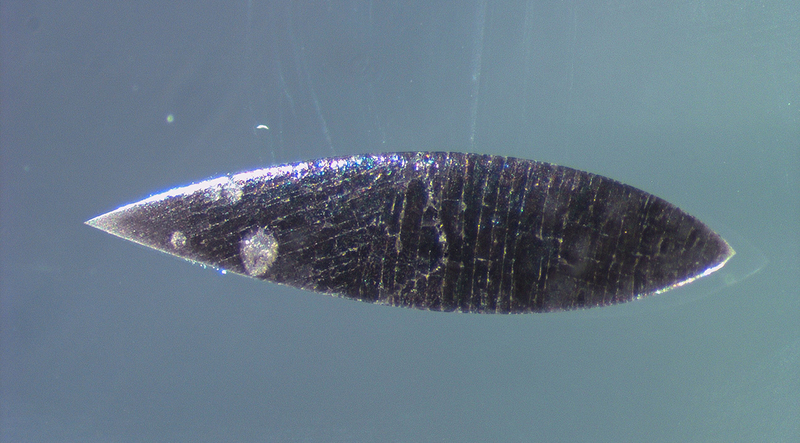 While this defect is similar in appearance to the little insect called a silverfish it is actually a stone (i.e. solid inclusion) in the glass composed of molybdenum oxide, sodium molybdate, or calcium molybdate. With a high melting point of 2623°C, molybdenum is commonly used as an electrode material for supplying additional heat in container glass furnaces. When the electrodes degrade or are exposed to air, they can create “silverfish” shaped stones in the glass. This colorful compositional map shows an unusual stone on the surface of a glass container in colors that correspond to different elements. The stone was primarily composed of copper (red) with minor amounts of nickel (yellow) and tin (green). The background glass is mostly silica (blue). 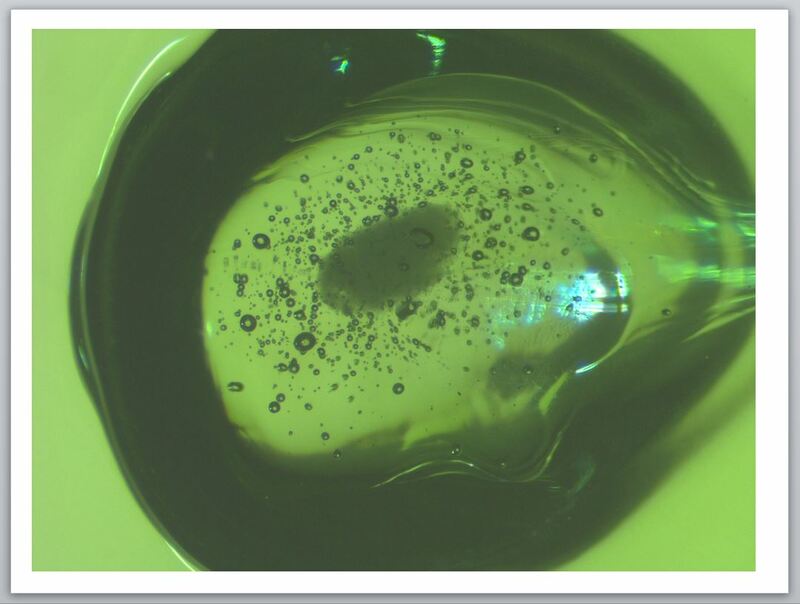 The flame-like shape is not typical of copper stones, which usually appear as oval inclusions in the glass. This stone’s location on the exterior of a bottle may mean that it was created by contact with a copper object during bottle formation instead of copper contamination in the furnace.